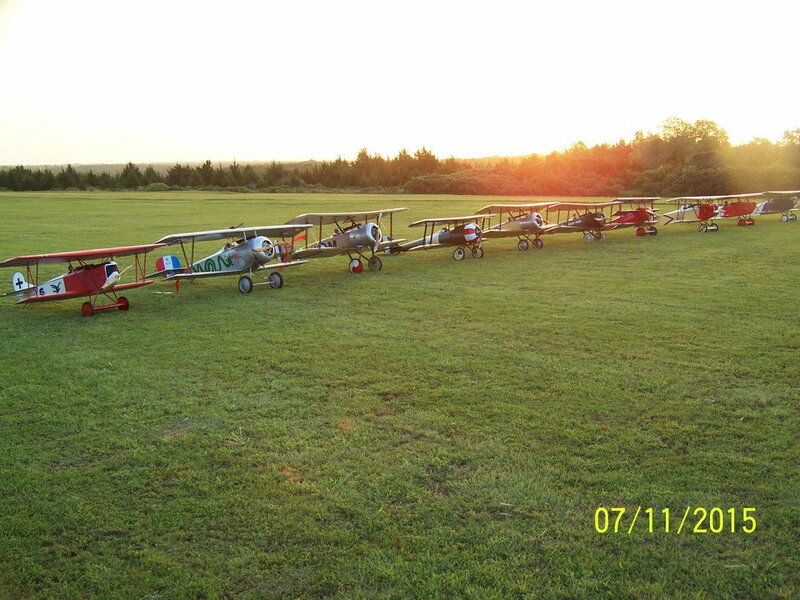 The people on the Aerodrome forum are in a league of their own. I've been peeking over that fence for a long time. The OP for the non-flying Pfalz, Achim Engels has built some of the most historically accurate full size Fokkers out there. If he does a Pfalz it will probably become the standard everybody looks to. Last edited by mgnostic; 06-03-2018 at 08:12 PM. No pictures just yet but the Pfalz is still moving along. 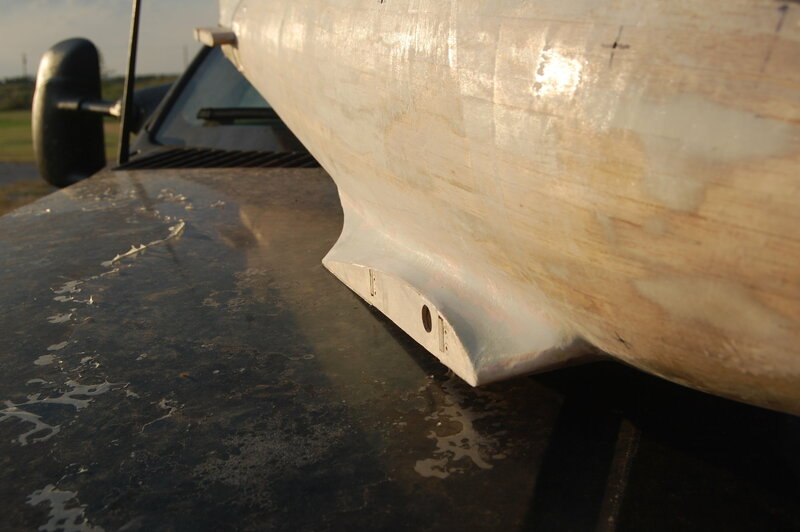 The fillets for the lower wing are kind of time consuming and not very photogenic yet. The bottom half was pretty easily done with 1/64 ply but the upper half of the fillet has a pretty tight curve such that I couldn't get the ply to work out well. I managed to get by with a minimum of filler but it is still lots of fill-sand cycles. 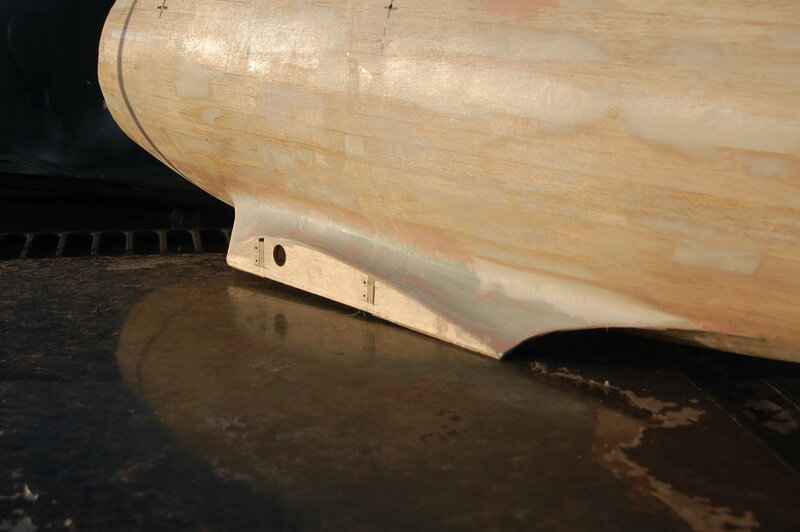 I'm using the old sandpaper around a dowel trick to shape the curve between the wing and the fuselage. One distraction from the build was a week's vacation in Colorado. Colorado Springs is nice this time of year and I had a chance to run up to Warbirds Over Denver. Nice people and quite a few good looking airplanes. I was told attendance was down a little this year due to gas prices but I was still pretty impressed. The planes ranged from foam ARFs up to a beautiful and moderately enormous Kate complete with torpedo. P-47s seemed the most common but there was a lot of WWII iron including some beautiful Zeros and an outstanding FW 190. WWI was represented with a trio of triplanes several Fokker D7s in at least three sizes and both BUSA and Maxford Nieuport 28s. A little more progress. 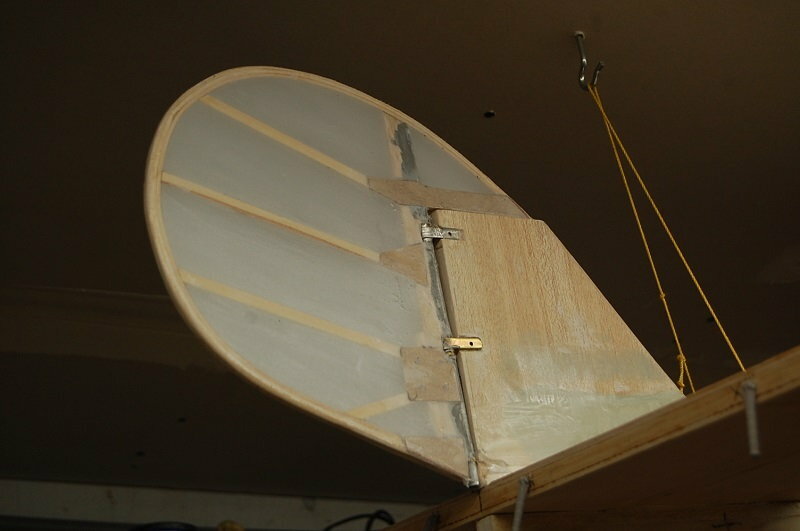 Lots and lots of sanding and filling later and then some more sanding the wing fillets are sowing progress and the fuselage is fairly smooth. This is where I committed a heresy. I glassed the fuselage with .75 oz glass and Kwik Poly. there is a method to this madness though. The Kwik Poly hardens and consolidates the relatively soft balsa planking. 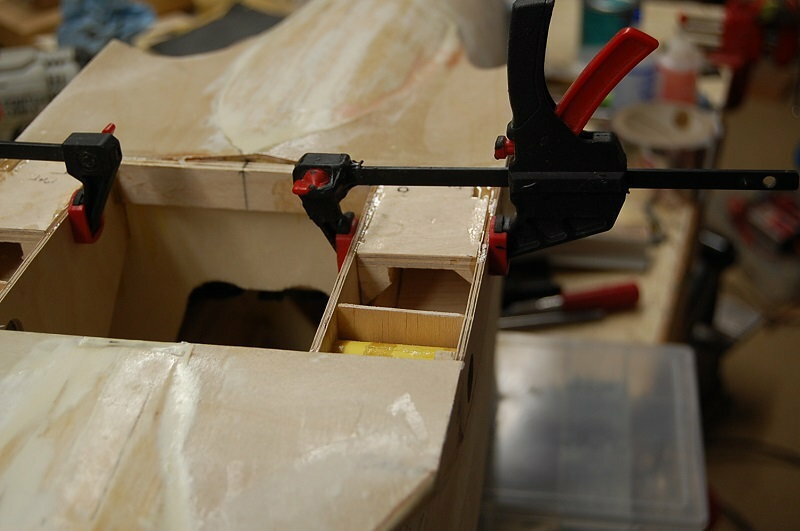 It is quite a lot lighter than trying to replicate the wicklerumpf fuselage construction. It sands easily and provides a relatively smooth surface. Think of it as glass reinforced primer. The actual scale fabric covering will go on over the Kwik Poly. The Pfalz doesn't have all that much in the way of surface detail on the fuselage as compared to other planes of the era. Compared to an SE5a it is downright bland. There will be strut mounting points, cockpit steps, and access doors but they all go onto the surface of the fuselage. There will be a cockpit coaming and I need to get a set of machine guns on order. I have not yet cut out the hatch for the guns. It's going to be important to do a pretty good job on the radiator and dummy engine since they will contribute a lot of the detail on the aircraft. That fuse sure looks impressive! In comparison to my Fokker D.VII - very bland - your D.III is the cat's meow! You are inspiring me. I can't wait to finish my Fokker and move onto a Pfalz or Albatros! Keep up the good work, I think you are doing a great job. BTW - I found a website that contains all the Flight Magazine articles. That was a publication produced starting early in the 20th Century and contains a ton of stuff on WWI aircraft. Here is one of the pics. I have the link somewhere if you do not already have it. I have all the pages for the Pfalz D.III and IIIa. I can find the link if you don't have it. Thanks for the support. I'm a fan of Flight magazine. I first discovered it when I was in college. The SWOSU library had it on microfilm. It's probably all on electronic media now but back in the eighties there were rows of file cabinets full of microfilm spools. 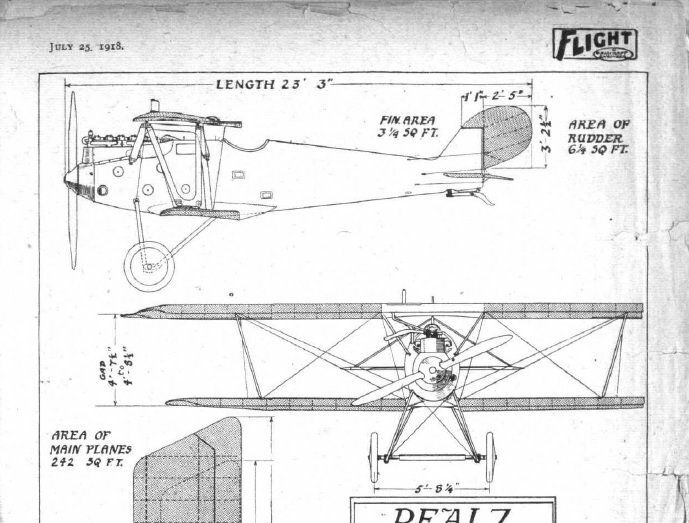 I found the link to Flight Magazine https://www.flightglobal.com/pdfarchive/search.aspx?ArchiveSearchForm:search=pfalz%20d&page=2&ArchiveSearchForm:fromYear=1918&ArchiveSearchForm:toYear=1918. Yes, its a very impressive publication for those of us who can't get enough of scale detail. Its got a great search capability. You go in by year (in the above link - 1918) then by subject. Every page is its own PDF. Well It's getting chilly and I'm ready to tuck back into the Pfalz build. There have been a few distractions what with overhauling a tractor and the local club having a group build. At the moment I've been piddling with the tail surfaces and it occurs to me that I don't yet have a good formula for silbergrau. 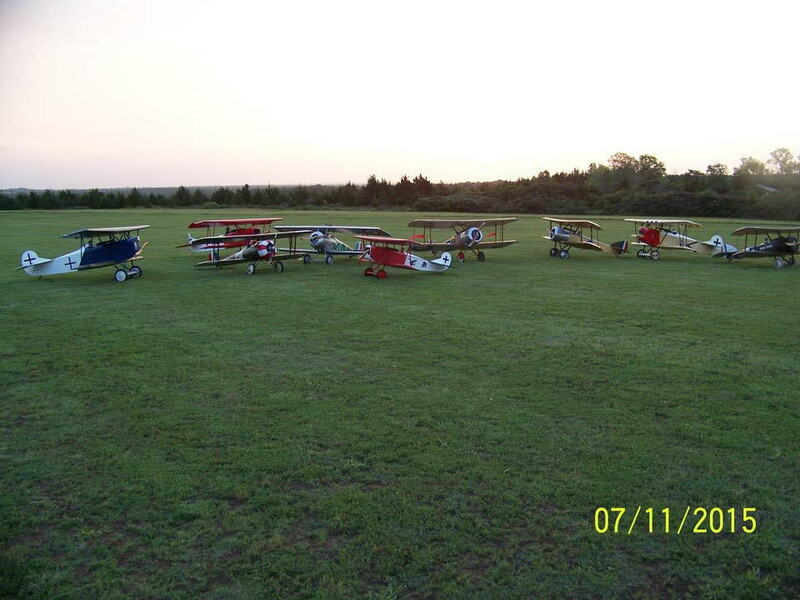 I've been searching around, especially on the Aerodrome forum and found a lot of info suitable for plastic models but I'm looking for something that will help with mixing up a batch of latex at the local paint store. Any thoughts? I threw a little Koverall on the tail surfaces. I used Sig Stix-it for adhesive but I am trying the water based urethane as a sealer for the first time.. So far so good. I just got the first coat on, no sanding or rib tapes yet..
One thing that is proving to be a bit of a challenge is designing a set of landing gear struts. The biggest difficulty is that I haven't found a source that specifies actual strut lengths. Even the Wylam drawings with all of their inaccuracies only point out the relative locations of the wheels and the axel and some of his landmarks seem kind of arbitrary. I suppose if I had the skillset I could 3-D model the plane and dimension the gear from there. 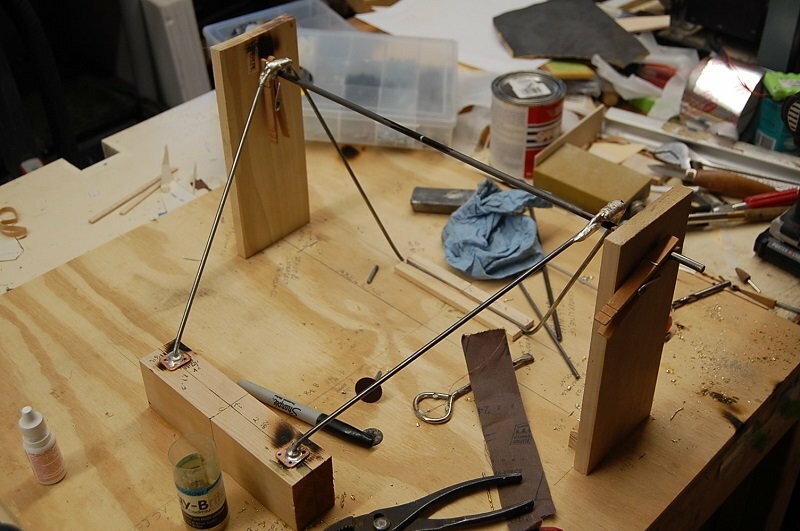 As it is I am physically 3-D modeling with a jig. I located the front and rear landing gear mounting points relative to each other and then suspended the axel where it ought to be. One error that I made is that the landing gear mounts are about 3/4ths of an inch too far forward. 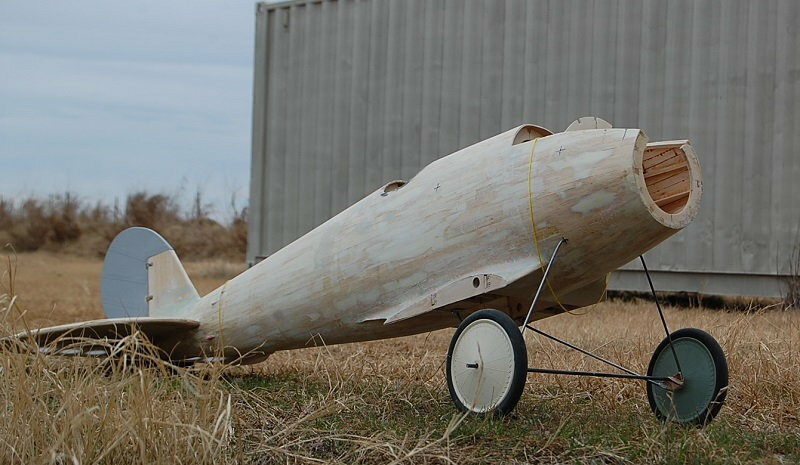 I should have been building in the mounts when I was planking the fuselage but I missed it. I didn't spot the problem until I started to design the landing gear. This by the way illustrates Landing Gear Mark II. The first version didn't even get far enough to take photos. There will probably be a Mark III. 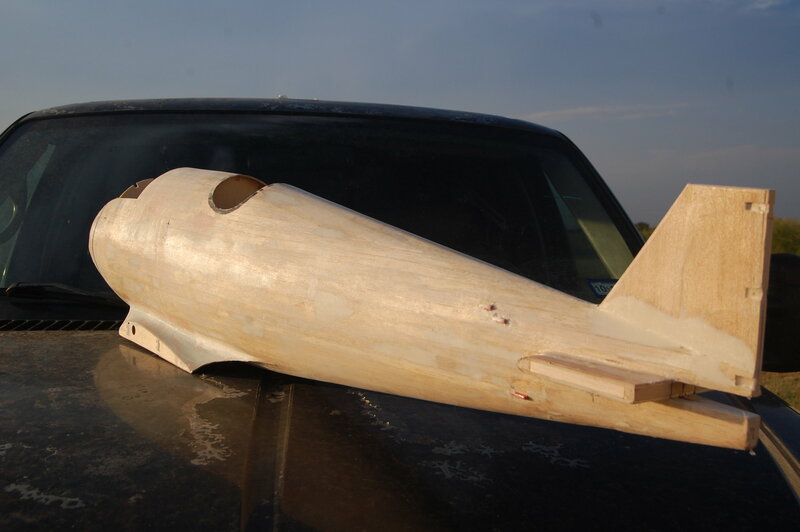 Mark II will serve for getting the airplane on its wheels and checking angles and dimensions. 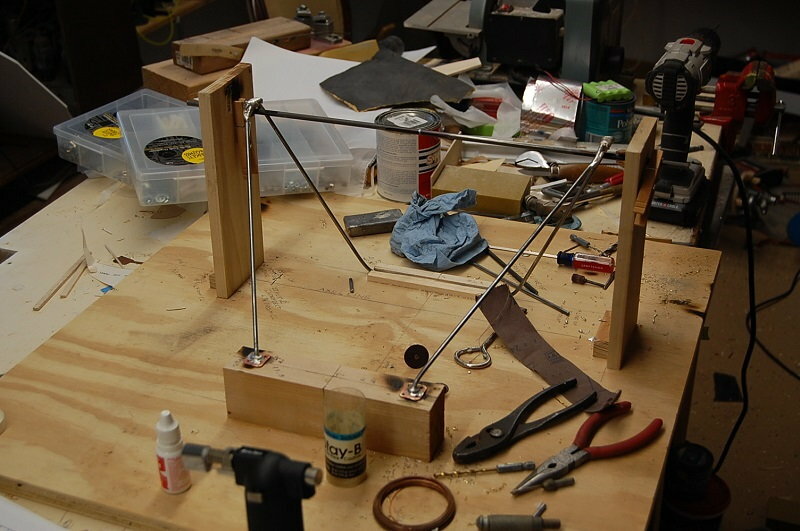 Once I get the dimensions and angles where they need to be I should be able to make each side from a single piece of wire with the mounts for the spreader bar soldered in place. I am also going to need to get a better wire bender as the bends have a bit too much radius especially where they enter the fuselage. This last photo illustrates the mounting plates. The plates are 1/4 inch ply with an additional 1/4 inch under the actual mounting plate. The plate is also anchored with additional triangle stock to tie it to the central box in the fuselage and to the rear lower wing spar carry through. 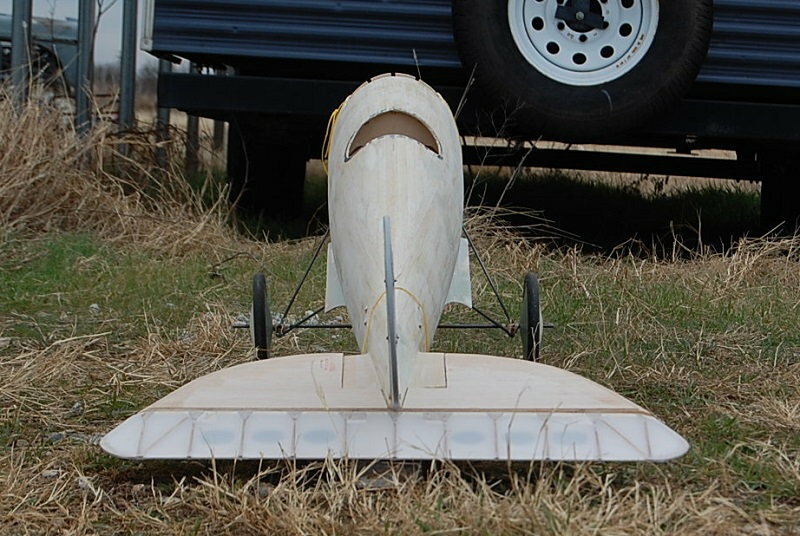 Had I thought farther ahead the strut mounting blocks would have been just aft of the fuselage former underneath the the lower wing fairing. Very challenging work. You are doing a great job, very impressive project. The Pfalz is on its gear for the first time. As noted this is the second version of the landing gear. I'm going to take some photos from the same position as some of my reference pictures to see how the gear lines up. I'm not too happy with the radius on the bends and I can certainly tidy up the bottom end of the gear legs. At this point I am thinking that the tread of the gear is at least an inch too wide. 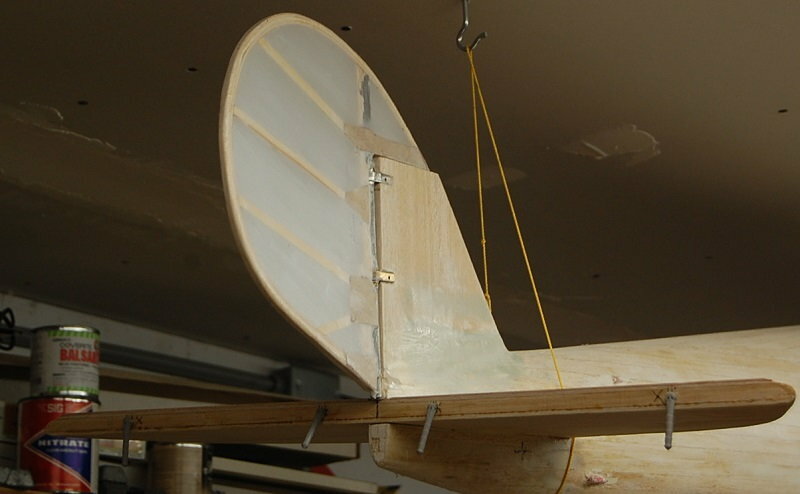 The rudder and the horizontal surfaces are only loosely mounted to the plane so they are sitting a little crooked. No instruments in the cockpit yet. I've been looking at the stuff on Iflytailies.com for cockpit details such as the starting magneto and ammunition chutes for the guns. I've had good luck with Williams Bros. products so I will probably look to them for the wheels and guns. It is going to be a DIIIa, I've just been waiting until I get the guns to cut the hole in the upper deck. Last edited by mgnostic; 12-17-2018 at 07:45 PM. There have been a few distractions this winter but at least one of them has been fortuitous. 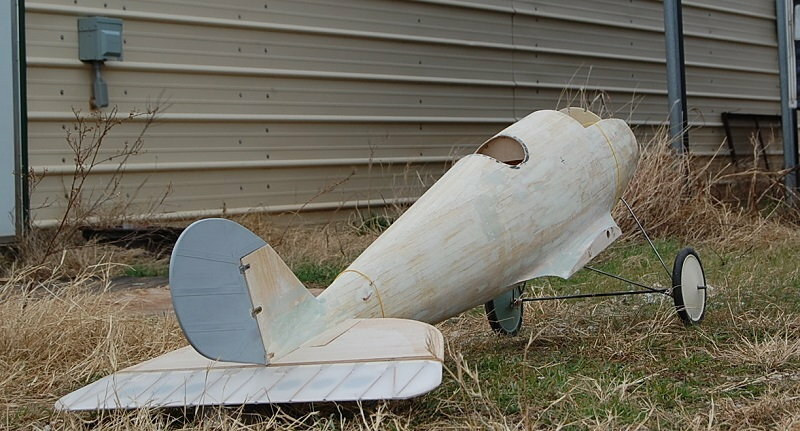 I picked up and have been building a BUSA 1/4 scale Sopwith Camel. There were some wing design issues that I have been waffling over and I like the way that it has been done on the Camel. At some point I am going to have to tuck in and start cutting wing ribs. From what data I can find the short ribs are really not much more than just floating cap strips but I think I will have to support them with rib structure to make them look right. I like your projekt as well. I saw, you try to use a ZG38? Or is it a ZG 62? With what weight do you calculate? The right angle carb intake manifold from Toni Clark will give you much better clearance than the stock arrangement. I'm using the Zenoah G-38. My choice was based on this being a common, well known motor that has been used in similar sized WWI biplanes. At this point any projection of the weight will be a wild guess. 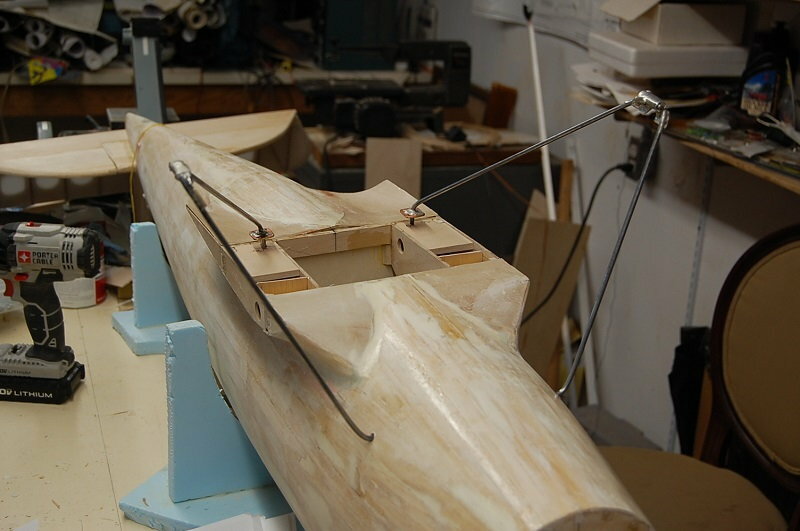 I have tried to minimize weight gain but it is my first effort at designing and scratch building a 1/4 scale biplane. If it were totally cad designed and laser cut I think it could be lighter but that is beyond my means at this time. I am hoping to keep the weight down to around 20 pounds. Lot's of nifty stuff. I think if one were going for a competition level model it would work best to engineer the engine mounting box for a rear intake engine. The elbow manifold would be less obvious but I think it would still stick out a little. Thanks. Rich. The D VII is one of the models that I've studied with regard to the weight and power requirements. Rich, is this something different from the event in Guthrie on Sept 27-28? At 3&1/2 hours drive time Ada is pretty manageable.